Watching the streaming of the Holland IOTA Meetup #4, I came across several PoCs that undoubtedly deserve attention and one of them is the one that deals with Digital Identity. Digital Identities can be combined in data sets or attributes that are mixed in different contexts and with different degrees of reliability. Your Facebook identity is not the same as your identity in a bank, on your driver’s license, diplomas, and so on. To validate the identity of people or even objects, must gather certain characteristics that certify that I am who I say I am and be able to authenticate identity in front of a service without the need, for example to submit papers that prove it. It is one of the most fascinating topics to develop using DLTs and certainly a great challenge for whoever tries it. 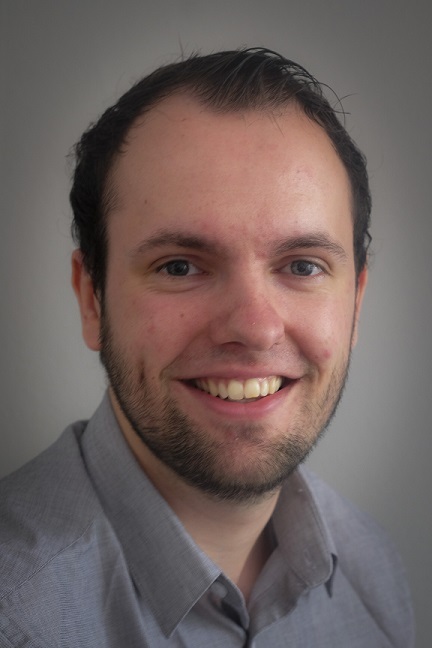 Today we will meet Jelle Millenaar who will tell us about the PoC (Proof of Concept) of DiD Digital Identity. I invite you to read this note until the end! I am an Innovation Consultant at VX Company Software Development in the Netherlands. I live in Utrecht with my fiancée Yanniek and my cat Mango. I studied Game Programming for 3 years, which I dropped for Biology. Slowly my interest in IT came back and I started to specialize on Computational Neuroscience. After my Bachelor in Biology, I started my master in Artificial Intelligence but ended up working fulltime at VX Company instead. How did you end up being interested on DLTs? As many did, I started as a Bitcoin enthusiast who only saw a quick way to earn some money. Since I love researching complex systems and wanted to make more educated bets, I started learning about the technical details of the major Blockchains. A few months later I learned enough about Blockchain that I got interested in coding with Blockchain Technology. A university friend of mine, who continuously had to sit through my Blockchain explanations, found a job application as “Young Professional Blockchain” at VX Company and shared it with me. Instead of applying in the normal way, like writing a long motivation email, I just emailed my CV and casually explained my passion for Blockchain and would really love working on it. Apparently they liked my enthusiasm and challenged me to write an Ethereum smart contract to prove I could also code with it. A few weeks later, on my birthday, I learned that after two interviews I was hired and I have been working with DLT professionally ever since. Turned my hobby into my job! When did you first hear of IOTA and what were your first thoughts? I was still in the investor mindset when IOTA suddenly cracked in the top 10. Obviously this must be a scam. But when I started to work with DLT, I challenged myself to understand the pros and cons of the top 15 Cryptocurrencies. IOTA took a lot of effort to understand, but the fact that it (potentially) solves the scaling problem and allows feeless transactions makes it a lot more applicable for business solutions. It is my opinion that a DLT application will only be adopted by the masses if it easy to use and IOTA can deliver that experience. I still do think that IOTA is a risky choice as a developer because it still needs to prove that its end goal is even possible, but the potential is so great that you barely find any cases were it is not the best solution. Can you tell us about your project DiD? DiD is a Proof-of-Concept project for VX Company to gain experience with IOTA & DLT and help develop a Digital Identity for IOTA. Digital Identity is a very important building block for any DLT, without it we are unable to develop most use cases. Almost all use cases require the interacting parties to know who the other is, or at least know some traits about them. VX Company doesn’t create products, which means we will not release DiD as a Digital Identity app, however, we are looking for ways to further develop the protocol and open-source it or develop the protocol for our clients. Since we are already experiencing an incredible need for a standardized Digital Identity protocol on IOTA, a continuation of the project is a matter of time. Why did you choose IOTA as the basis for this project? The existing Digital Identity solutions fail to gain traction due to fees and therefore have a bad User Experience or run on a specialist private / permissioned Blockchain. It simply doesn’t work that every DLT based application runs on its own Blockchain to avoid fees, therefore we always try to build on existing DLT’s and often return to IOTA. 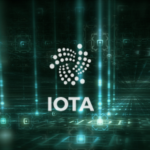 The feeless nature of IOTA makes sure the users don’t need to purchase tokens before they can use the application. This allows us to hide the confusing DLT stuff so the user doesn’t need to know about it. This creates a much better User Experience and makes adoption as easy as downloading an app from an app store. Lastly, I believe that the concepts of “Digital Identity” and “Digital Twins” are one and the same. A Digital Identity protocol on IOTA allows developers to create Identities for anything: humans, devices, machines, buildings, land, etc… It is a lot easier to let all of these communicate over the same network. IOTA is the perfect ledger for this due to being specialized for IoT and high traffic load. Could you tell us how it works? Without going into too many technical details, we created a protocol for Digital Identity on the IOTA Ledger. A digital identity is simply an account, which can be used to identify someone online. The account lives on the devices of the user (For example a phone app), which contains a collection of digital documents. These documents have information about the user that are verified by third parties. For example, a user might have a set of diplomas, insurances, income statements and a passport on their account. The user can easily share the documents with any business and the business can instantly verify the truth of the document. The impact of such a system can be surprisingly big. It gives businesses methods to increase protection against fraud, increase the speed at which documents are verified and improve the customer experience during these processes. General overview of Digital Identity for people. A government agency (for example), could digitally sign your driver’s license and share this with you. Your Digital Identity would be connected to a signature on IOTA, posted by the same agency. From now on, you can (partially) share your driver’s license with any number of companies, and they can verify the integrity and which party signed your data within seconds. There are many benefits to having a standardized Digital Identity protocol on IOTA. Projects like TrackingID, Accessec’s Car wallet, and Industrial IOTA Lab Aachen could all save time by using the same underlying Digital Identity protocol, allowing cross-project communication. In addition, the data remains in control of the owner and can even be partially shared. So I can finally share my bachelor with companies while hiding my GPA! An example of how this could work with IoT is our PoC with our trusted partner Vialis. They create and deploy intelligent traffic lights (iVRI), which we hook up to IOTA. These iVRIs can then communicate with vehicles. In our PoC, we want to try and give the right-of-way to approaching trucks to minimize breaking, which reduces the CO2 emission. We use digital identity by allowing the road owners to digitally sign deals with transport companies. These transporting companies are then empowered to give digital documents to the vehicles stating they are heavily loaded and can request the right-of-way. The iVRI will receive these digital documents when a vehicle approaches and verifies the integrity of these documents by comparing them with the IOTA stored signatures. Example application of DID for vehicles. The companies represented on the left can sign digital documents stating this vehicle requires the right-of-way. This is only done once and send to the vehicle, while the signatures are put on IOTA. Once the vehicle shares this document with the traffic lights, the iVRI systems can verify the signatures on IOTA and decide if they trust the signing companies and give the right-of-way. You are active participating in Hackathons in the Netherlands, how is that going? We have participated in the Farmhack hackathon from the 15th to the16th March. Here we found out that farmers currently are data consumers since they do not control their own data and end up purchasing their own data back. This is very odd and there are multiple initiatives to allow farmers to start storing and using their own data locally. To kickstart this idea, I introduced the IOTA Data marketplace to add an additional incentive for farmers to start collecting their own data. There was a lot of enthusiasm from the judges, yet due to devnet issues and issues in the current Data marketplace, I was unable to display much. My colleague won in a different team though! This April, we are also participating in the world’s biggest blockchain hackathon: Odyssey. Here we will showcase how Digital Identity can be applied by solving the challenge from the government agency Kadaster. They want to create a public infrastructure were information about buildings is openly accessible and incentivize owners, construction workers, renters and more, to add their own data about the buildings to this infrastructure. We believe a digital identity for buildings could help solve any trust issues, by making sure that all documents can be verified. These documents can then easily be shared to request, for example, a construction permit and receive the permit within a couple of hours instead of weeks. What is people’s reception when you explain about the IOTA protocol? We notice that the business world is willing to learn about DLT, but experimenting and working towards a working solution is often deemed too expensive and risky. They often have incorrect views on the technology that we can take away, but it is important to also explain the risks. Once we start discussing IOTA, they are often intrigued by the idea of how the network works by helping others, so they help you. I also noticed that the lack of smart contracts is seen as a bigger problem than it actually is. How do you see the IOTA community? Now that the hype has died down and the Discord moderators have removed the speculation channels, the community is awesome. Initially, we had a lot of people just asking questions in order to get insider information for trading, like: “wen Q?”. Nowadays, we are a community that learns from each other, compliments progress and help each other out. The active participation of the IF members really helps with this and I am loving their involvement. Is there anything you’d like to add? Please feel free to do it! We are in the process of creating more blogs and posts about our Digital Identity and other IOTA related projects. Follow me on Twitter @JelleFm to stay up-to-date and feel free to contact me on jmillenaar@vxcompany.com if your company is seeking to create a PoC, Pilot or full application with IOTA and needs help.